This module begins by defining liturgy and ritual and describing their importance in Catholic worship. The second segment explores some elements that contribute to the celebration of effective liturgy, especially the use of space, music, and symbolic actions, the role of the assembly, and the importance of cultural expression. 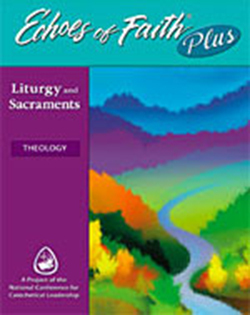 The remaining segments address the meaning of sacrament and offer an overview of the Sacraments of Initiation, Sacraments of Healing, and Sacraments at the Service of Communion.